By Nancy Mauro-Flude, January 9, 2017 at 1:06 am . This is a quote that I put at the start of piece of writing ‘Methodologies of Risk: Experiential Prototyping, Hands-On Practice and Critical Making’ which reflects on dynamic models that embrace methodologies of risk and a deeply playful attitudes. Experiential prototyping brings together assorted individuals working at the intersection of hands-on practice and critical making in a collective constructivist performance. That is, functional objects and material forms are opened out and reappraised beyond their former utilitarian design. It encourages probing into the inexplicable whilst replacing traditional top-down methods of assigning value, with an approach that employs and advocates home-brewed methods for collective gain (for example, self-organized digital literacy circles). Championing the amateur in the realm of the professional, places value, in a diverse array of participants following their own enthusiasms to encounter experiential prototypes wishfully imagined. The rationale for an approach that combines a mix of professionals and amateurs, whose activities are deeply intertwined, is a type of model encourages both individual reflexivity about how this engaged but autonomous activity may relate to wider social transformation and understandings. 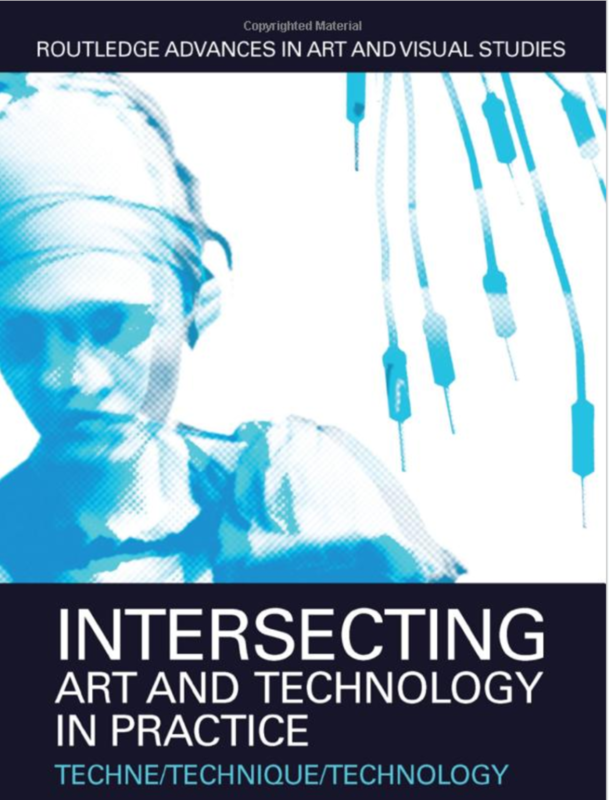 Although the publisher deleted the starting evocative quote, this writing subsequently became a chapter in arecently published book (December 2016), ‘Intersecting Art and Technology in Practice: Techne/Technique/Technology‘, Edited by Camille C. Baker and Kate Sicchio, as a part of Routledge Advances in Art and Visual Studies, which has a wide array of writings that focuses on the artistic process, creativity and collaboration, and personal approaches to creation and ideation in making digital and electronic technology-based art. Less interested in the outcome itself – the artefact, artwork or performance – contributors instead highlight the emotional, intellectual, intuitive, instinctive and step-by-step creation dimensions. They aim to shine a light on digital and electronic art practice, involving coding, electronic gadgetry and technology mixed with other forms of more established media, to uncover the practice-as-research processes required, as well as the collaborative aspects of art and technology practice.